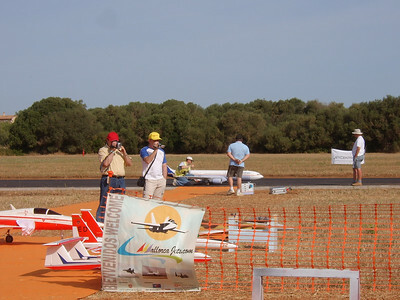 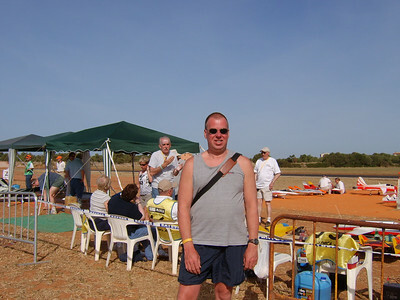 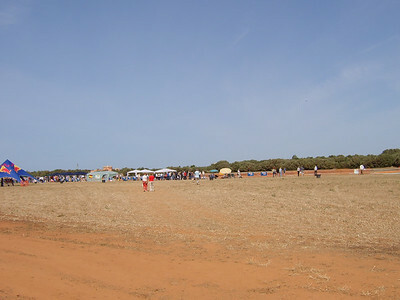 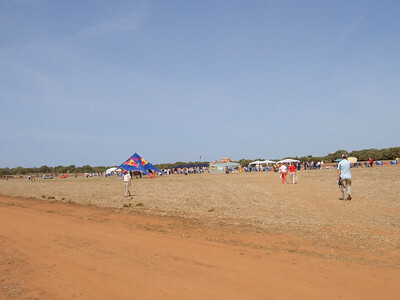 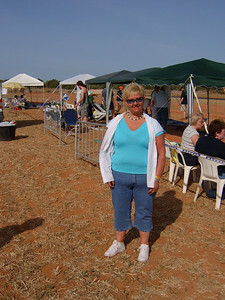 Steve & Lesley visited Ses Salines last year to watch the Mallorca Jets in action. 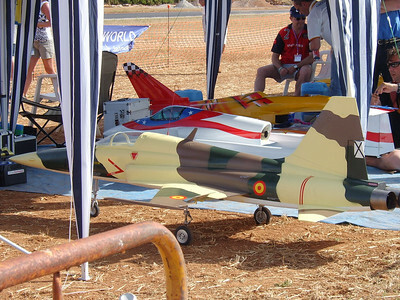 Model jet aircraft that were unbelievable. 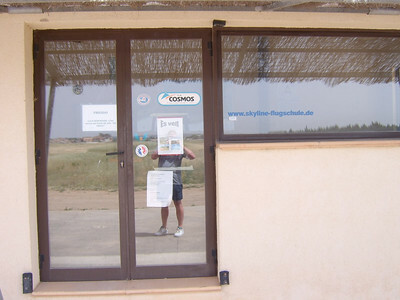 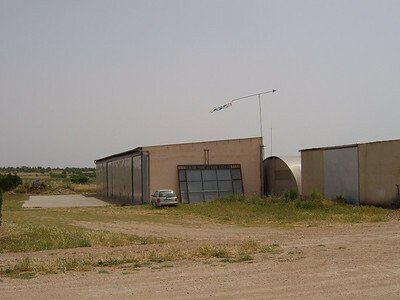 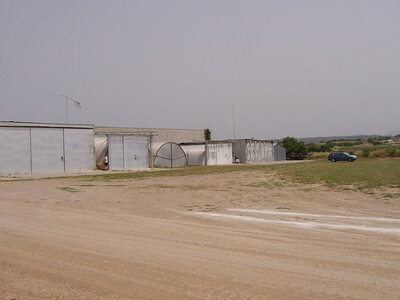 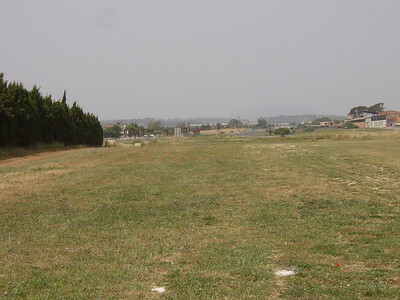 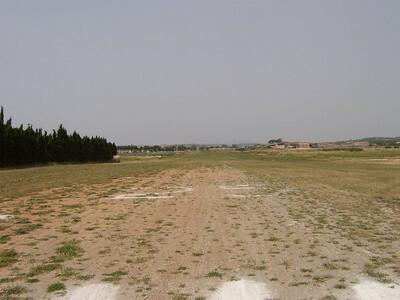 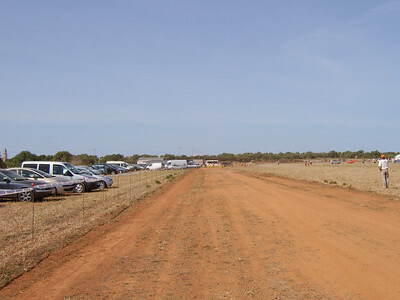 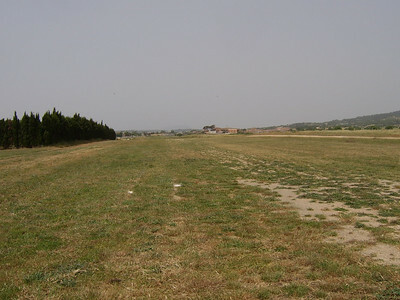 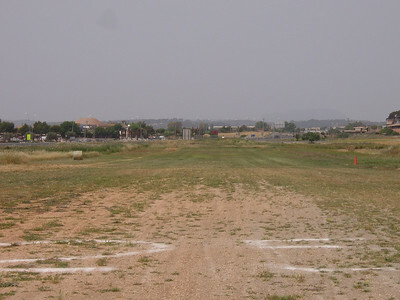 Ses Salines is located in the south of the island and had a then new tarmac runway. 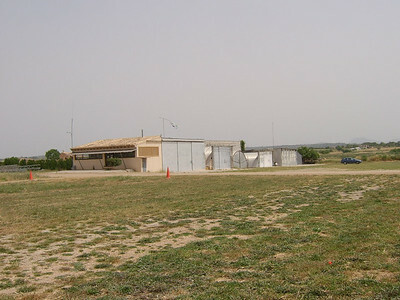 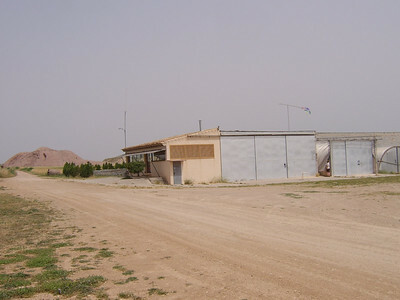 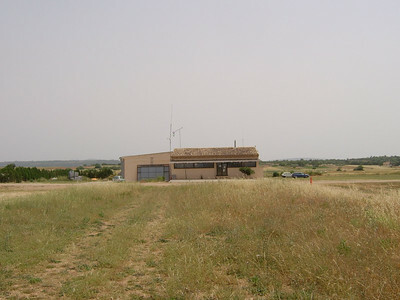 This year Steve & Paul visited another strip which was just outside Manacor on the road to Palma near Petra. 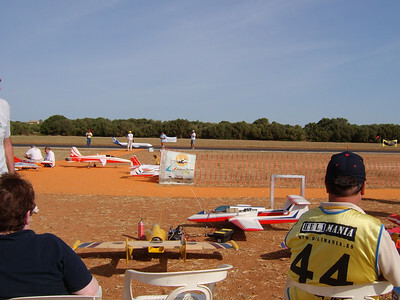 A grass strip this time and as before never managed to see anybody fly although there were some interesting aircraft in the hangers.